In the following blog post, Andrew Kinsey of SC&H Group summarizes three key takeaways from the 2016 AICPA Global Manufacturing Conference that manufacturers must embrace to address top strategic, financial, and operational priorities. SC&H Group attended this year’s American Institute of CPAs Global Manufacturing Conference in Indianapolis, IN. The conference focused on how finance and operations can work together to shape the future of the industry. Even though many different topics were covered, three key takeaways emerged that require careful consideration and proactive planning. These three critical takeaways are discussed in further detail below. The interconnectivity between people and machines via advanced technology is revolutionizing the industry―and those reluctant to change risk losing market share. Manufacturers willing to invest in modern technologies will reap significant cost savings, and gain competitive advantages in manufacturing and supply chain operations. For example, digitized manufacturing and mass personalization are replacing physical manufacturing and mass production in the “factory of the future.” Digitized manufacturing, or “Industry 4.0,” brings automation and real-time data exchange into manufacturing plants. Digitized manufacturing utilizes advanced robotics, 3-D printing, and the internet of things, which refers to the internetworking of plant components, to send and receive data. However, as technology evolves, and continues changing the way people work while also transforming the way business is conducted, manufacturers must evaluate their approach to data security. As today’s news headlines indicate, even the largest of corporations have fallen victim to some level of data/security breach. As IT security professionals suggest, file encryption is one of the best ways to protect company data, especially as it travels over unsecure networks and file sharing platforms. Manufacturers investing in IT security will not only protect their own data and trade secrets, but will also demonstrate a high level of care regarding the stewardship of sensitive customer information. Appropriate planning is critical when aligning global expansion efforts with business growth objectives. Global expansion comes with many business risks that may be difficult to manage ― and can quickly equate to missed opportunities and lost profits. Today, manufacturers must carefully consider the financial and tax implications of cross-border transactions. It is critical to obtain solid legal and financial support when conducting business abroad, as complex tax and reporting issues are inherent in any foreign operation. For instance, when selecting a new location, be sure to perform a thorough location assessment. This assessment should take into account country risk, proximity to customers, and supporting infrastructure. Effectively controlling costs is an ongoing initiative within every successful organization. 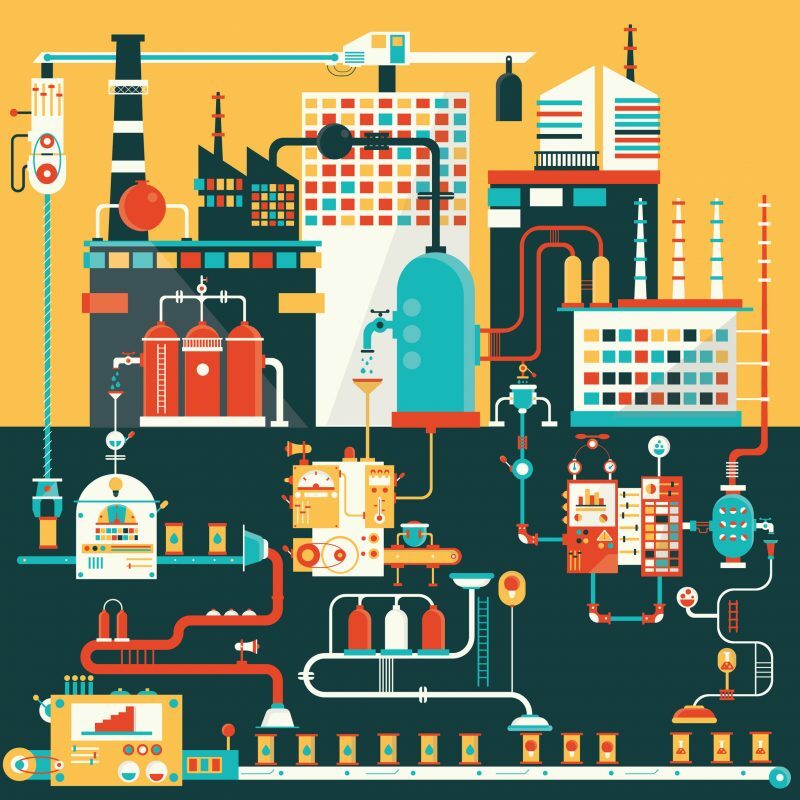 For manufacturers, this begins with effectively managing the supply chain. Manufacturers that effectively manage the supply chain will experience healthy reductions in both direct and indirect costs. Additionally, manufacturers should pay close attention to inventory levels, as these are key drivers behind the amount of supply chain costs incurred. Manufacturers should analyze variability and lead time from suppliers in an attempt to lower inventory costs, and should also consider manufacturing to order instead of mass producing a high amount of finished goods that may end up sitting idle on the inventory floor. Also, as discussed with globalization, opportunities may exist to minimize and/or defer taxes as a way of controlling costs. The concept of transfer pricing was a repeated topic at this year’s conference. Transfer pricing estimates the terms of related-party transactions as if they were arm’s length (unrelated party) transactions, and prevents tax avoidance among related entities. Advanced pricing agreements are one way to achieve a higher level of certainty with the tax authorities regarding these transactions, and also serve to document a transfer pricing strategy. By understanding the effects transfer pricing may have on your organization, and meeting the documentation requirements, manufacturers can ensure tax compliance, and make the most of their cost reduction initiatives. As reinforced by various conference takeaways – now is the time for manufacturers to take action on various initiatives to help safeguard resources, streamline operations, and shrink costs. Please contact SC&H Group here for additional information on the 2016 conference, or to discuss how we can help your organization successfully address these top priorities.